Our Collection at Boxers and Briefs contains only the highest quality Bjorn Borg Mens Underwear. 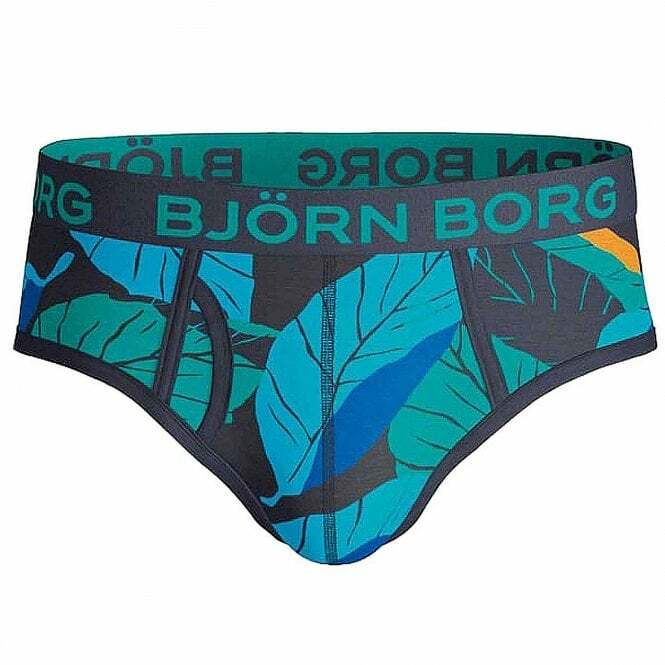 In our Bjorn Borg Graphics range we have the Bjorn Borg Leaf Brief, Peacoat Print. Make like a tree and leaf out in these trendy BB Leaf Briefs. For bold, brazen men only, this adventurous print will embolden you to get outside your comfort zone. Soft cotton stretch and a classic mid-rise cut make these great for everyday wear. Pack of one. 95% cotton, 5% elastane. We have the Bjorn Borg, Peacoat Print, Leaf Brief which are available in multiple sizes ranging from size Small to Extra Large.